He’s known for his flamboyant shows, pays particular attention to his work and leaves nothing to chance. In short designer David Tlale is in his own league. Tlale is celebrating 10 magical years in the fashion industry. The main event was at Tshwane City hall, and it was a strictly black tie affair. Some will remember when in 2003 this relatively unknown designer was launched during the "Elle New Talent in South Africa. Months later Tlale won the Best Designer by the Sunday Times, his star was born. And has never looked back. 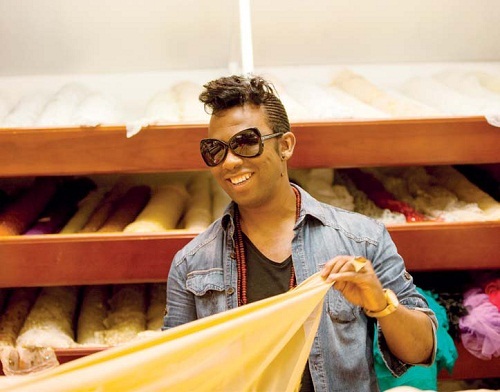 In 2005 Tlale was appointed "Head Designer for Carducci Woman" under the House of Monatic Group in Cape Town South Africa. The rest as they say is history. Some of Tlale’s signature garments.